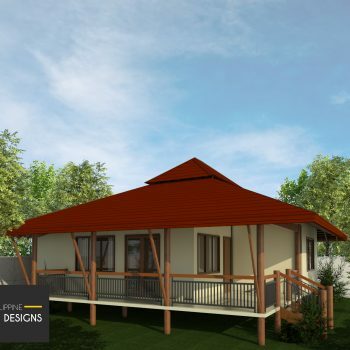 Filipino house design pays homage to features from vernacular Filipino architecture — the simplest being the bahay kubo. High-pitched roof, ventanillas, elevated floor and porches are just a few of the features that could be applied. This style can be made climate-responsive. There’s a lot more to Filipino architecture than meets the eye. While one may look at our largest Philippine cities and see nothing remarkable about the architecture, thousands of hidden gems of culture and history are hidden in plain sight. And we’re not just talking about historical buildings either. The country’s role as a cultural crossroads between East and West has gifted us with a mindset that’s accepting of different ideas wherever they come from, allowing us to create new types of architecture that we can truly call our own. Historical and Contemporary Filipino architecture exhibits a high degree of eclecticism, which while not an alien thing in other countries, is brought to a different level locally because the originators of architectural ideas are so different. It’s not unusual to see a Spanish Colonial house adhere to Feng Shui influences, and you may see Art Deco elements in a building that is otherwise Contemporary Southeast Asian. Older structures often receive more attention when talking about Filipino Architecture, thanks to the graceful features that are not always found in contemporary buildings in bigger cities. While some may be under the impression that there is no longer any interesting Filipino architecture these days, it may make more sense to not look at our overcrowded urban landscapes, but at the new homes being built in the outskirts. Residential Filipino architecture is currently undergoing rapid growth, thanks to the improved economy and a greater willingness of homeowners to try things that are just a little different. More and more projects are attempting to use cutting-edge trends and techniques to make spaces more engaging and a pleasure to inhabit. 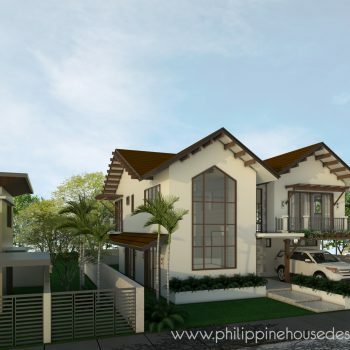 While Filipino residential architecture can be found incorporating styles from all over the world, a few definite patterns and prominent styles are immediately apparent. The simple nipa thatch and bamboo frame hut is known by several names across the Philippines, including kamalig and payag, among many others. The basic framework of the hut consists of a strong, normally elevated foundation, a cube-shaped main structure, and a thatch roof with a relatively steep slope. They are made from whatever materials are locally-available, including anahaw, bamboo, rattan, nipa, and local wood. Contrary to popular belief, these are not a uniquely Filipino structure – similar stilt houses can be found across Southeast Asia with similar characteristics. The differences in appearances tended to differ from each ethnolinguistic group. A Tagalog bahay kubo would tend to look different from a Visayan payag, and so on. The houses in Mindanao also tend to look similar or the same as the ones built in Malaysia and Indonesia. It’s conjectured that the basic three-tier layout of the bahay kubo is due to the influence of Hindu and pre-Hindu religions in the region before the arrival of Islam and Christianity. Bali, being the last Hindu holdout in the region, gives some clues to the basic layout of the bahay kubo today. In Balinese architecture, there is the concept of Tri Hita Karana, the harmony and balance of humans, nature, and the gods. There is also Tri Angga, the hierarchy from microcosm, middle realm, and macrocosm. Lastly, there is also Tri Loka: the hierarchy between demons, humans, and gods. A number of other number-based rules also seem to have an influence on what would, later on, become the bahay kubo we know today. Regardless of the true origins of the bahay kubo, the practical layout made it a versatile and sustainable piece of Filipino architecture, uniquely suited for the environment. The space under the house could be used for storage and the elevation allowed occupants to stay safe in case of floods. The basic structure also offered plenty of ventilation and a decent amount of privacy when designed correctly. The thatch structure keeps the heat and rain out while allowing hot air inside to escape – something that galvanized iron sheets do not always do so well. The bahay kubo is also central to the Filipino bayanihan spirit, as these homes would traditionally be worked on or moved by the entire community, with each Filipino knowing with full confidence that their neighbor would do the same for them. Almost immediately after the arrival of Islam in Sulu in the 14th century AD, structures influenced by Arab culture began to spring up. Places of worship needed a reasonable degree of precision so that worshippers could face Mecca, and purpose-built structures called ‘masjid’, ‘langgal’, and ‘ranggar’ were built by the Tausug, Yakans, and Maranaos respectively, as well as similar structures by other groups. Houses and places of worship following these principles were built wherever Islam reached, including Manila. Geometric ornamentation also became more popular during this period thanks to interpretations of the Quran that prevented the depiction of living things. Elaborate wooden structures were also built following both Arabic and Southeast Asian sensibilities, including a few with pagodas that are not normally found in the country today. Some Islamic-influenced Filipino architecture also arrived through Spain, itself a country with significant Muslim influences thanks to its long occupation by the Moors. Tilework, patterns on gingerbread trim on otherwise European houses, and balconies all have a Moorish origin. Today, Islamic architecture tend to still have a mix of Middle-eastern and local influences, and it’s not unusual to see Arab-influenced geometric designs coupled with Tausug and Maranao motifs. The basic Spanish Colonial house was an evolution of Roman architecture, featuring courtyards, stucco walls, and tiled terracotta roofs. While few original houses with this style survive in the Philippines today, the basic layout and aesthetics continue to be popular with Filipino homeowners, and houses that evoke that early era of Spanish colonization are still popular. The practical layout of Spanish Colonial houses may have been designed for the Mediterranean, but it’s right at home under the tropical sun of the Philippines. The courtyard allows limited outdoor access, decent cooling, and privacy and the white stucco walls and terracotta roof tiles give an attractive look while providing additional cooling and heat insulation. The design is also easily adaptable to contemporary architecture trends and can easily accommodate a wide variety of needs. When we think of old Philippine houses, this is probably what we imagine. While arguably still a form of Spanish Colonial architecture, it can be argued that the bahay na bato owes more to the native bahay kubo. The basic layout remains the same as with a bahay kubo. However, instead of stilts, the main structure is supported by stone masonry and the living spaces tended to be made of local hardwoods. The roof was also more likely to be composed of terracotta tiles, though the slopes tended to be steep as with a bahay kubo, rather than shallow as with early Spanish Colonial houses. Given the square layout, a courtyard was not usually possible. Instead, a conventional yard surrounded by a fence was more likely. The stone foundation can also contain a space for horses, a workshop, or a store, depending on the needs of the owner. Many examples have the lower space converted to a garage. Like the bahay kubo, these houses also had excellent passive cooling features, such as high ceilings, and convenient balconies, shutters, and louvers that allowed ceiling-to-floor ventilation during summer that could be closed off during the colder months. Like European houses, these homes featured multiple rooms rather than the single room typical of a bahay kubo. These rooms could serve any function the owner needs and such esoteric features like game rooms and small observatories were typical. One less discussed type of bahay na bato is the Sinadumparan of the Ivatan. It does not follow the “rule of three” layout that informs bahay kubo and bahay na bato design. Rather, these are rather simple masonry structures made from local limestone and other materials with thatch roofs. Due to the harsh weather of the Batanes, houses there necessarily need to be stout and strong to withstand the forces of nature. Contrary to popular belief, the houses actually have a significant European influence. Before the arrival of the Spanish, bamboo and thatch houses were more common. However, they were situated in strategic areas where they were sheltered from typhoons. After the Spanish arrived and the population was forced to live outside those safe zones, stone houses that followed Spanish patterns became necessary to avoid the need to constantly rebuild houses after each storm. The unique thatch roofing is a holdover from the previous houses. These houses have an underrated, subtle charm, and design elements can be easily adapted for contemporary architecture for those who are after something a bit different, but still identifiably Filipino. The late Spanish and early American Period from the 1870s to the 1910s brought with it Western trends in architecture, which Filipinos wholeheartedly adapted in the local context. The old quarters of Manila hold numerous examples of these buildings, characterized by their wrought iron and concrete construction as well as their grace and aesthetics still survive in the Philippines today. The French Beaux-Arts style was particularly prominent and was popular with both Spanish and American-trained Filipino architects. Numerous examples such as the Natalio Enriquez mansion and the El Hogar building still inspire Filipino building enthusiasts today. Art Deco structures from the American Period through the 1950s still remain prominent across the Philippine urban landscape. These structures are identified by their bright colors, clean geometry, and exquisite craftsmanship combined with modern materials. Several different styles fall under Art Deco, but most could be characterized by the appearance of modernity and luxury. In the Philippines, most surviving Art Deco structures were influenced by Streamline Moderne, and the style was prominent in the emerging cinema industry. However, the style was popular for homes as well, and many Postwar examples survive throughout the country. A rarer Prewar example is the Balay Daku in Bacolod City, which is often considered to be the best example in the country. Internationalist Architecture trends were already seeping into the country in the Prewar Era, but Modern Filipino architecture really only came into its own in the 1960s through the 1980s. L.V. Locsin was perhaps the most prominent architect of the time, and he oversaw structures such as the Tanghalang Pambansa along Roxas Boulevard and the Makati Stock Exchange Building. Notably, many Modern Filipino Buildings such as the aforementioned Tanghalang Pambansa attempted to incorporate the “rules of three” of the traditional bahay kubo, including an entrance well-above ground level as well as a strong horizontal element, and occasionally, even steep sloping roofs, such as the case with Davao International airport. The style was also influential for many homes built during the era, and today, these beautiful homes with their modern masonry, glass, steel, and aluminum elements, clean lines, and functional layouts are still very much sought after and imitated in new projects. Filipino Contemporary architecture is hard to pin down and features a wide array of influences from all over the world. The Filipino desire to look outward for the best in design has resulted in a current scene where nearly all types of architecture are represented in some way. Perhaps interestingly, a new generation of architects and homeowners are continuing to assert their Filipino heritage through their houses by choosing design elements that are a part of our heritage. 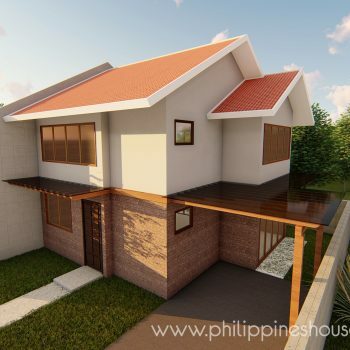 Many minimalist Filipino homes for example, still feature the type of verticality that characterized the old bahay kubo, with a garage on the first floor and living quarters on top. Other heritage elements are also mixed and matched, creating homes you would never see outside the country. While Filipino Architecture has a long and varied history, a few things have always remained true about Filipino styles. Philippine houses are uniquely suited to the demands of our climate, with features to withstand the punishing heat and humidity as well as the torrential downpours. 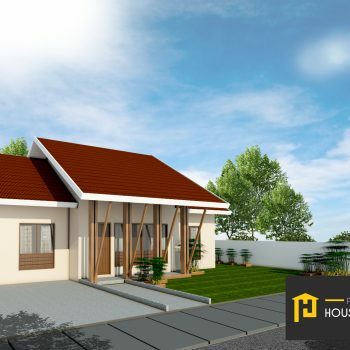 Even when it comes to contemporary Philippine house designs, local houses are far more likely to survive typhoons compared to houses in Europe or the American West Coast where such events are unheard of. As a cultural crossroads, The Philippines has had easy access to ideas from both the East and West, influencing the aspirations of the people as well as the house designs they chose. 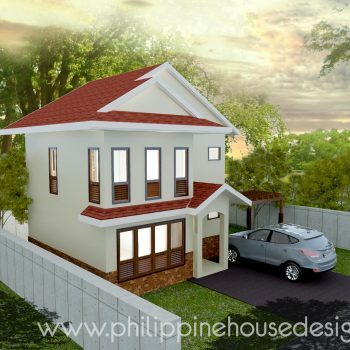 Philippine house designs tend to be highly eclectic, with truly global origins. Filipinos are at heart, a very pragmatic people. Multi-use spaces, usually on the ground floor, where one can work, play and enjoy the company of others have long been the norm in the region, even before ideas on modern minimalism had even been formalized. The traditionally large and close-knit Filipino family unit also favors the use of common-use areas that could serve multiple functions. The practicality and sheer diversity of Filipino architecture remain its strengths, and as the economy continues to improve, we’re likely to see more homeowners and architects attempt daring projects that push the envelope of what is possible in the local context.